Nothing creates a bad impression of your contact center more quickly than poor call quality. Unfortunately, one of the biggest challenges with cloud-based contact center solutions can be consistent call quality across the globe. Other cloud vendors route calls through their nearest data center which could be thousands of miles away. This means a call can take multiple “hops” between countries, continents, or even around the globe. Each hop adds latency, degrades voice quality, and increases your cost. We’re re-defining Global Voice with a highly resilient and redundant global telephony infrastructure. 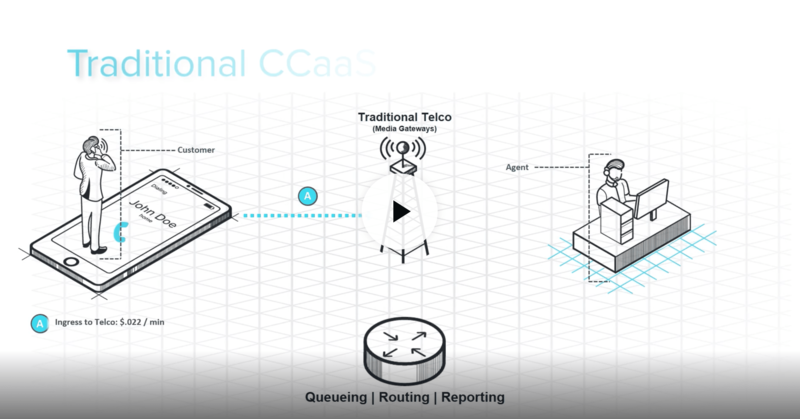 We never route calls through our data center, rather we utilize local voice carriers to decide the best global routing path which drastically reduces the hops a call makes. This approach minimizes latency, lowers costs by up to 50%, and results in crystal clear voice quality.